According to the U.S. Census Bureau, there are approximately 105 million commercial parking spaces in our country. These vary from multi-level parking structures to employee parking lots, and while necessary, they aren’t widely celebrated for their visual appeal. With the latest technologies for parking garage tensile facades and tension structures, property owners can offer their customers a better parking experience while adding (instead of retracting) to the neighborhood. Parking garage tensile facades use tensioned membrane panels to wrap the exterior of a multi-level structure, creating an enclosed feel while preserving airflow and access to natural light. 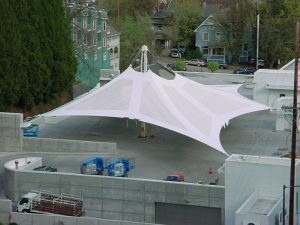 Tension structures, on the other hand, are free-standing installments that also use tensioned membrane material and can be designed to cover cars in open lots or on the top floor of parking garages. The environment can do a number on vehicles, especially when parked outdoors over a significant period of time. Sun, rain, and snow wear on a vehicle’s finish, while hail and ice can cause immediate damage. 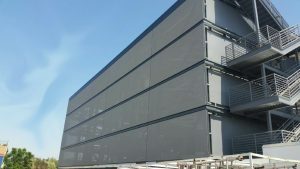 Parking garage facades protect vehicles from the elements regardless of whether they’re parked along the open-air perimeter or on the interior of the structure. Similarly, tension structures give property owners the ability to turn exposed spaces into protected ones. Whether you operate a long-term parking facility or your customers simply return day-after-day on their normal route, offering protected parking options means you’re able to charge more for each space. In addition to protecting vehicles from the environment, tensile facades and tension structures also offer benefits to support the environment. Enclosed garages offer great advantages for customers but can result in the need for expensive (and energy draining) ventilation systems – depending on design choices. Tensile facades help parking garages with their energy efficiency goals because the transparent nature of the fabric membrane allows natural airflow, meaning the garage maintains its open-air status and doesn’t require new ventilation systems. 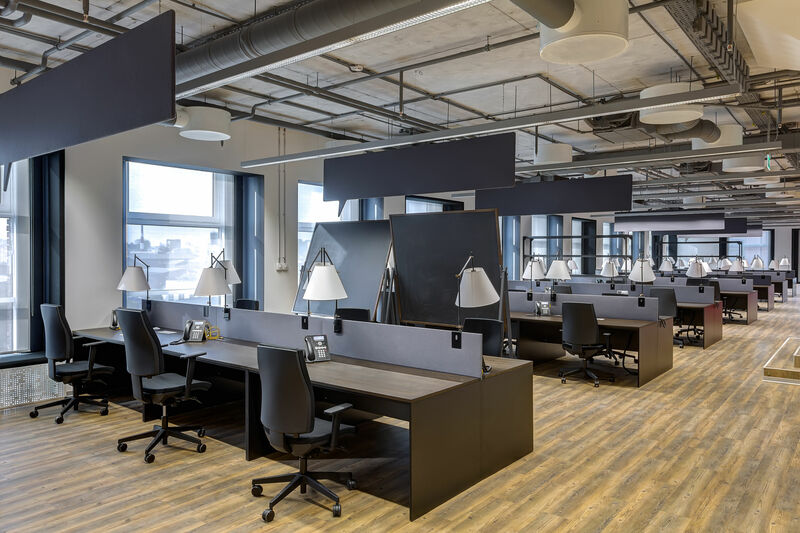 The translucency also allows natural diffused light to pass through, which reduces the need for artificial light during the daytime. Tension membrane structures can also help to reduce the urban heat island effect which occurs in areas that have a higher concentration of concrete than natural landscapes. Light-colored PTFE or PVC membranes help to reflect sunlight and glare, as opposed to having it absorbed into the concrete. 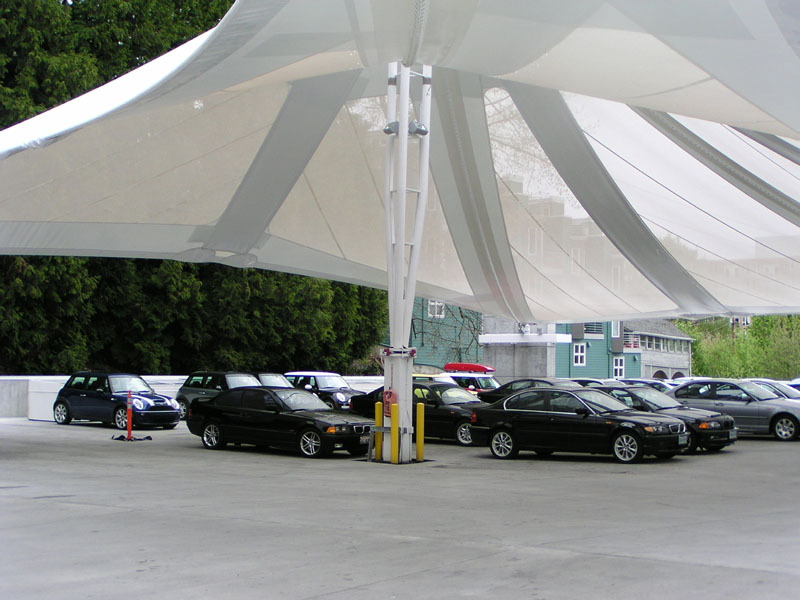 Are Parking Garage Tensile Facades Right for Your Property?